Scion's event should be awesome - can't wait. Urban Butcher's beer selection is fine, but really overpriced. Hopefully they'll put together a happy hour sometime soon. As an aside, when I went UrBu and asked what their current "butcher beer" (their rotating draft) was the waiter said it was "Shock Top, which is a whitbier, which means it's a wheat beer." I couldn't help but laugh at the extended description/explanation of what Shock Top is. Though I guess if you're trying to convince someone that paying $5 for a Shock Top (or $5 for a PBR) is reasonable then a song and dance only makes sense. I agree that some of UB's beer selection is a bit over priced but they also have some harder to come by craft beers that I feel earn their higher end price tag. I did notice though that some of the newer wait staff might not be too familiar with a beer or wine on the menu or what's in a cocktail but I'm sure that's common when a restaurant is still new and still getting their bearings in place. I usually stick with their cocktail and wine selections though. I love the seasonal punch and I could drink that all day! I'm perplexed as to how Fenwick gets named the best local place to buy beer. 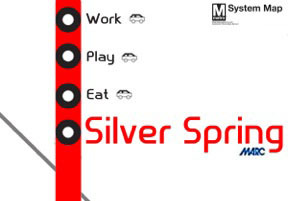 Does that include DC as well or just Silver Spring? If it's Silver Spring, then I guess by default they have to win, but in general their selection is mediocre at best and outrageously over priced. "in general their selection is mediocre at best "
whaaaaaa?????? That just factually, categorically untrue. I agree with the overpriced part, but that's to be expected considered their unbelievably huge selection. It would be nice if they didn't overprice the generic beers they offer, though.